Birth Date: December 29, 2011 (10 weeks old). Veterinary History: First shots complete, vet check, dewormed three times. Adult Weight: 5 lbs fully grown. This rare and beautiful boy is ready for his forever home. 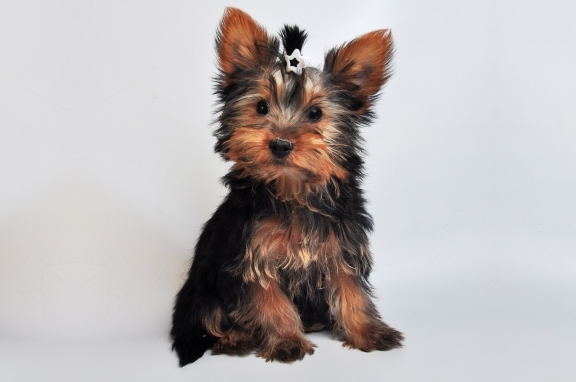 The chocolate colours are very sought after and approximatively only 1 in every 10,000 Yorkie's are born with these markings. His sweet personality is very loving and theraputic. 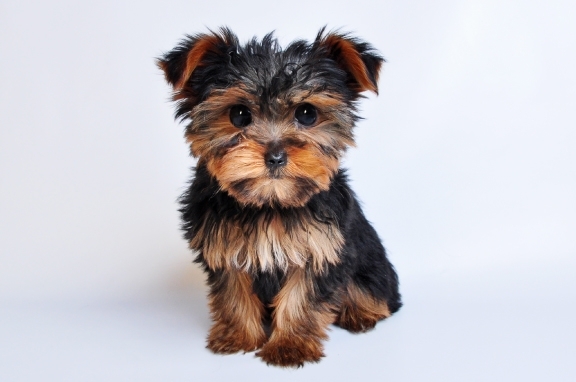 At any moment he is ready to climb into your lap giving endless kisses and affection. He has been very well socialized with children and adults alike as well as other dogs. He will be a tiny toy size at maturity placing his final weight at 5 lbs. This puppy is ideal in small living arrangements such as condo's and apartments. Please call 647-PUPPIES (647-787-7437) for more information. Birth Date: February 4, 2011 (9 weeks old). Adult Weight: 6-8 lbs fully grown. 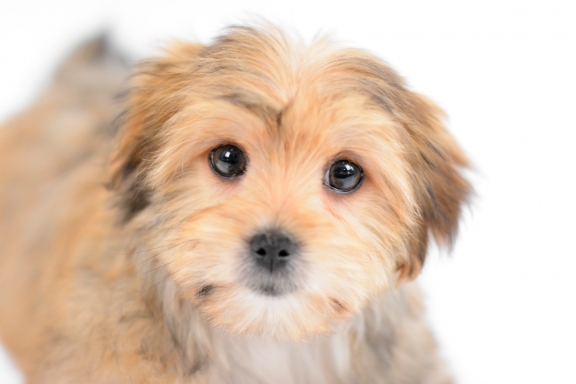 Our favourite mix-breed puppies are available again! 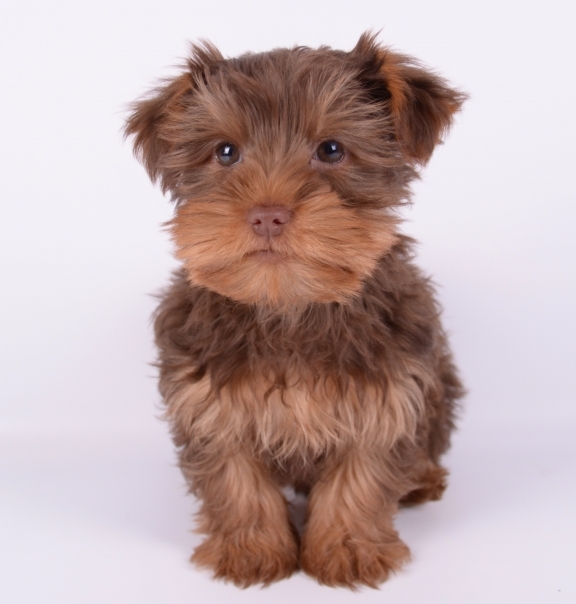 This teddy bear face male Morkie is an F1 hybrid cross between Maltese (mother) and Yorkie (father). He a real gem as his patience of a puppy is a rare and wanted trait. He is eating solid organic-hollistic dry food and is a very healthy according to our veterinarian. He enjoys sleeping in his fluffy bed and is understanding to all situations. great with children and other pets. Please call 647-PUPPIES (647-787-7437) for more information. Birth Date: January 7, 2011 (12 weeks old). Adult Weight: 2-3 lbs fully grown. Addtional Information: Hypo-allergenic and non-shedding. This beautiful boy is ready for his forever home. His sweet personality is very loving and theraputic. At any moment he is ready to climb into your lap giving endless kisses and affection. He has been very well socialized with children and adults alike as well as other dogs. He will be a micro teacup at maturity placing his final weight between 2-3 lbs. This puppy is ideal in small living arrangements such as condo's and apartments. Please call 647-PUPPIES (647-787-7437) for more information.